Dr. Daryl Boggs is a Consultant for CPP. His specialty is structural aerodynamics and has a special interest in the dynamic response of tall or long-span, flexible structures. 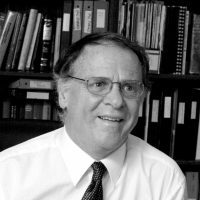 From 2000-2007, Daryl directed CPP’s building studies in addition to managing many projects, particularly those involving special structures. Now Daryl holds the position of consulting technical advisor for structural wind studies while still directing and managing special structures projects. Daryl designed his first aeroelastic model test of a tall building while a student at M.I.T. in 1970. His interest in wind engineering continued there through his graduate work, which focused on Boston’s John Hancock Building. He has pursued this field ever since. His research at Colorado State University led to extended development of the high-frequency base balance system as an efficient means of studying this phenomenon in the wind tunnel. Daryl’s experience includes hundreds of tall buildings, as well as towers, chimneys, arenas, and ground-wind loading of space launch vehicles and launch support structures. Daryl is a licensed structural engineer in Illinois and a licensed professional engineer (P.E.) in Colorado. He is a member of ASCE and CTBUH, and an active participant in the wind loads subcommittee of ASCE-7.